Fresh local Trade-in! 1 Owner, Clean title, accident free truck. 2017 Toyota Tundra SR5 5.7L V-8 FFV with TRD Off Road Package! (Financing Available) Visit Showcasemotorsmn.com 5.7L V-8 Engine, Automatic Transmission with Cooler, 4-Wheel Drive! This Beautiful 6 passenger Truck is well equipped, -XM-Radio, -Back-up camera, Bluetooth, Touch Screen Radio, Power windows and locks, Power back window, -Steering wheel controls,-Towing Package.-Runs and Drives Excellent ! Seats 6 people,-Clean Title, Just completed a full safety inspection by an ASE Certified Master Technician! 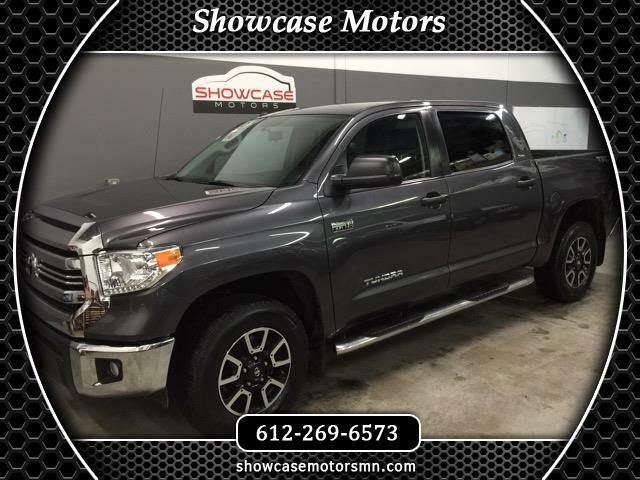 20 inch Premium Rims, Fresh full-synthetic oil change, Newer Michelin tires, 57,290 miles, Financing Available with great rates, Credit Cards Accepted, Top dollar paid for your trade-in, Apply for Financing online at Showcasemotorsmn.com Please Call ahead to schedule a test drive today 612-269-6573, Located just 20 minutes west of Minneapolis.Showcase Motors 745 Tower Dr, Medina, MN 55340, Check us out on Facebook.